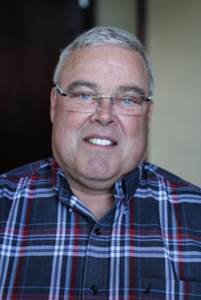 Dwight Fraser began his career with Canadian Retailer, Zellers in 1978. After 12 years in the retail business he then moved into other ventures, always exercising his entrepreneurial spirit. Throughout his career, Dwight has successfully developed and operated several Subway markets, an A&W, Doughnut Shops, Movie Theatres, Kwik Kopy Franchises, a Championship Jr A Hockey Franchise, and most recently, the Pizza Hut Franchise business. Dwight has enlisted great managers, partners and staff and is a firm believer in Lee Laccoca’s philosophy of, “surrounding yourself with great people and get out of their way”. He considers this his best attribute; finding and placing people in positions that greatly benefit themselves and the company. Dwight has received national recognition with YUM, receiving the Maple Leaf Award from the president, as well as, the Leap Forward Award from Graham Allan and others. He also received recognition from A&W and Subway for great operations.